Photo booths are a fun way to snap pics at a party or corporate event, but there's so much more that you can do with the boxed-in portrait-snapping photo phenomenon! When you think outside the box (or "outside the booth" as we like to say), you can not only enhance guest engagement at your event, but you can create fun new photo experiences that can boost your profile - both at the event and online. 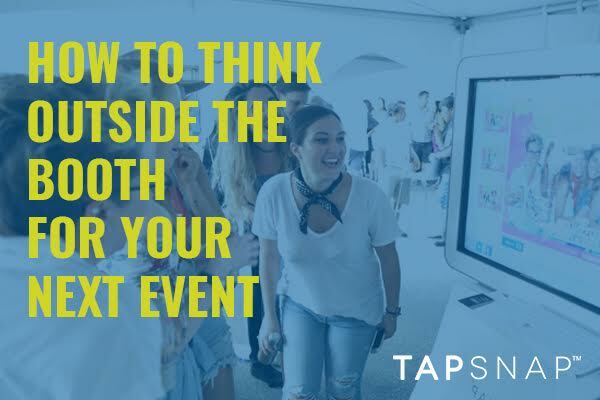 Here are some ways you can think outside the booth for your next event, using a top-of-the-line photo booth company like TapSnap. The most obvious way to think outside the booth, is to do so literally - by choosing a photo booth that can be set up without the limitations of walls. By opting for an open-air photo booth, you can capture great group shots, take the photo booth fun outdoors, and showcase your natural surroundings. Give your guests more space to snap pics, provide more opportunities to pose with props, create moving pictures and sharable GIFs, and more with an open-air photo booth. While photo booths are a great way to capture party pics, they're often set up at the side of the event, forcing guests to leave the main event to snap their pics. At TapSnap, we can add a Social Photographer to your event, so you can get right in the action to capture those candid shots. 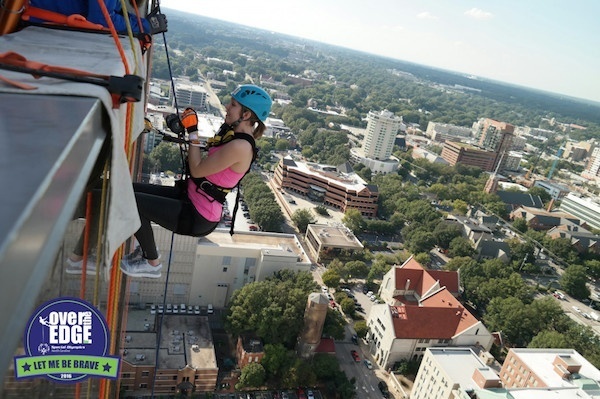 Check out this great photo snapped by TapSnap 1120 using our Social Photographer service to get an awesome photo of an event guest rappelling down the side of a building! TapSnap's photo booths are completely customizable, so you can add your own graphics, logo, or branded skin to your photo booth experience. 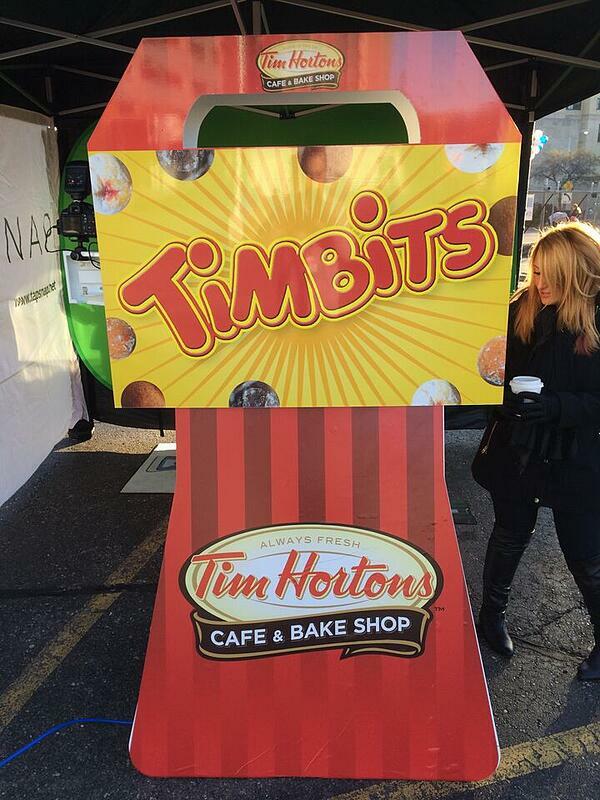 Check out this TapSnap kiosk wrapped to look just like a box of Canadian coffee fave Tim Horton's Tim Bits! Invite TapSnap to your next event, and see for yourself why we are the best event entertainment solution in the industry.